GAITHERSBURG, Md.--(BUSINESS WIRE)--Today, Adaptive Phage Therapeutics, Inc. (APT), a clinical-stage company founded to provide an effective therapeutic response to the global rise of multi-drug resistant (MDR) pathogenic bacteria, announced the first report of bacteriophage (phage) therapy in treating bacterial infection in a lung transplant patient. The 67 year-old male patient, had undergone a double lung transplant and subsequently developed a chronic infection with increasingly antibiotic resistant Pseudomonas aeruginosa (PsA). The patient was treated at the University of California – San Diego (UCSD) Medical Center by Dr. Saima Aslam, Medical Director, Solid Organ Transplant Infectious Diseases, Division of Infectious Diseases and Global Public Health, UCSD. Dr. Aslam requested, and the FDA approved, use of APT’s phage therapy through an emergency Investigational New Drug (eIND) allowance. APT provided phage mixtures which were identified using APT’s proprietary HRQT™ (Host Range Quick Test) assay which precision matches phage from APT’s PhageBank™ to a patient’s specific bacterial infection. The mixtures were administered intravenously (IV) and via aerosolization. Antibiotics were continued including IV colistin, IV piperacillin-tazobactam, and inhaled tobramycin to exploit potential phage-antibiotic synergy. RESULT: The combination of HRQT™ precision matched phage from PhageBank™ and several iterations of phage mixtures as adjunct to antibiotic therapy was able to achieve full clinical resolution. The patient experienced no adverse events attributed to phage. The World Health Organization has listed PsA as a Priority: CRITICAL threat list for antibiotic resistant pathogens. The US Centers for Disease Control (CDC) estimates 6,700 multidrug resistant (MDR) PsA infections per year in the US. This case follows a successful case announced by APT (April 2017) in which a terminally ill patient infected with MDR Acinetobacter baumannii was rescued following the APT PhageBank™ precision phage therapy approach. APT’s phage therapy approach uses PhageBank™, a large library of therapeutic phage targeting multidrug resistant (MDR) bacteria. With PhageBank™, APT has a deep well of narrow spectrum therapeutic agents. Combined, they represent a broad-spectrum antimicrobial. APT’s approach overcomes prior limitations of phage therapy and was originally outlined in 2003 by NIH Emeritus Scientist, Carl R Merril, MD, (Merril, et al, Nature Reviews; Drug Discovery, 2003). 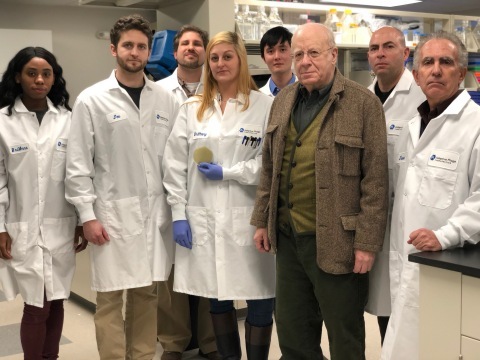 Over the past several years, Dr. Merril’s techniques have been refined and are part of ongoing research efforts by the Biological Defense Research Directorate (BDRD) at the US Naval Medical Research Center (NMRC). In 2016, Dr. Merril co-founded APT to pursue FDA regulatory approval for broad use of this approach. APT has established a collaborative research agreement (CRADA) and an exclusive license agreement with the NMRC to advance the PhageBank™ approach. 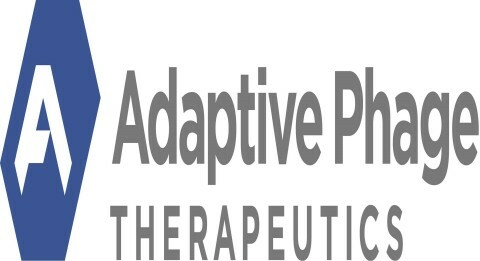 About Adaptive Phage Therapeutics (APT): APT, based in Gaithersburg Maryland USA, is a venture capital backed clinical-stage company founded to provide an effective therapeutic response to the global rise of multi-drug resistant (MDR) pathogenic bacteria. Two key components of APT’s approach are 1) PhageBank™, a large and dynamically growing collection of bacteriophages or “phages” (viruses that attack specific targeted bacteria) and 2) HRQT™ (Host Range Quick Test) an innovative phage-bacteria matching assay. In 2016 APT’s approach achieved a significant milestone with the successful rescues of Tom Patterson, a critically ill A baumannii infected patient. Tom Patterson’s case was immediately followed by numerous additional patient cases treated with APT’s precision-matched phage therapy after all antibiotics had failed.